Chanel Voyage de Chanel Blush & Illuminating Face Palette is a special edition face palette that was released exclusively at Chanel boutiques and online at Chanel.com. 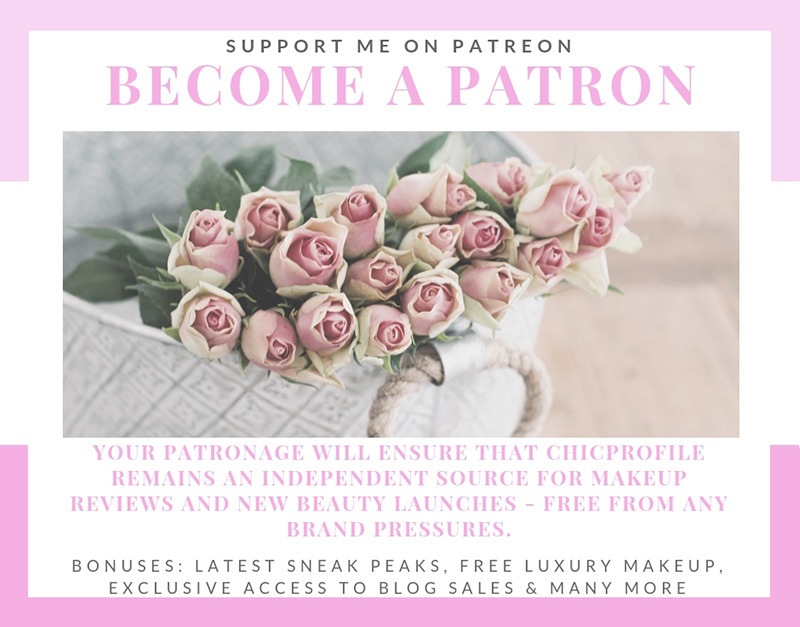 I was truly excited for this launch because I like the idea of a multi use palette that can be used as a highlighter, blusher, bronzing or contouring. 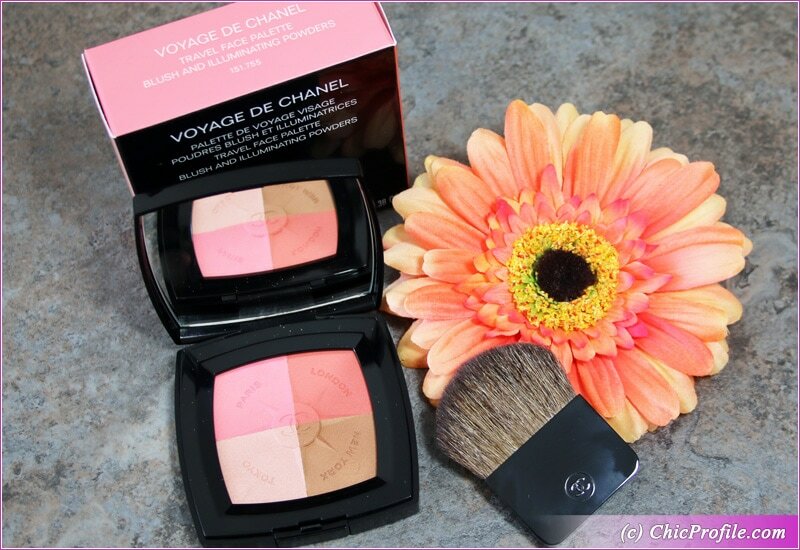 Chanel Voyage de Chanel Blush & Illuminating Travel Face Palette ($70.00 / £52.00 for 11 g / 0.38 oz) contains four soft shades of pink, coral and brown with a natural sheen. Paris is a very soft luminous pink with a natural sheen. It has a sheer but buildable coverage. I feel this color complements light skin so well but it can definitely be intensified for medium or darker skin tones. It has a firm texture in the pan without kicking off any excess powder. London is a natural peachy coral with a luminous sheen. This shade will look lovely on everyone, complementing every skin color. You will need to be patient and work a few layers to intensify the color, especially if you are a medium or dark skin. The texture is fairly firm, not to powdery and blends easily. New York is a soft brown with slightly warm undertones and a natural sheen. It has a good color payoff with a soft texture that is easily blendable. On my light skin this color doesn’t look muddy or too dark so I’m using it easily as a bronzer or to give a natural contour. Tokyo is a very light, luminous pink with a very fine sparkle. It makes an ideal highlighter or illuminating powder for those who want a discreet sheen. Is comes in a soft, sheer shade which takes up to 3 layers of color if you want to intensify it more. 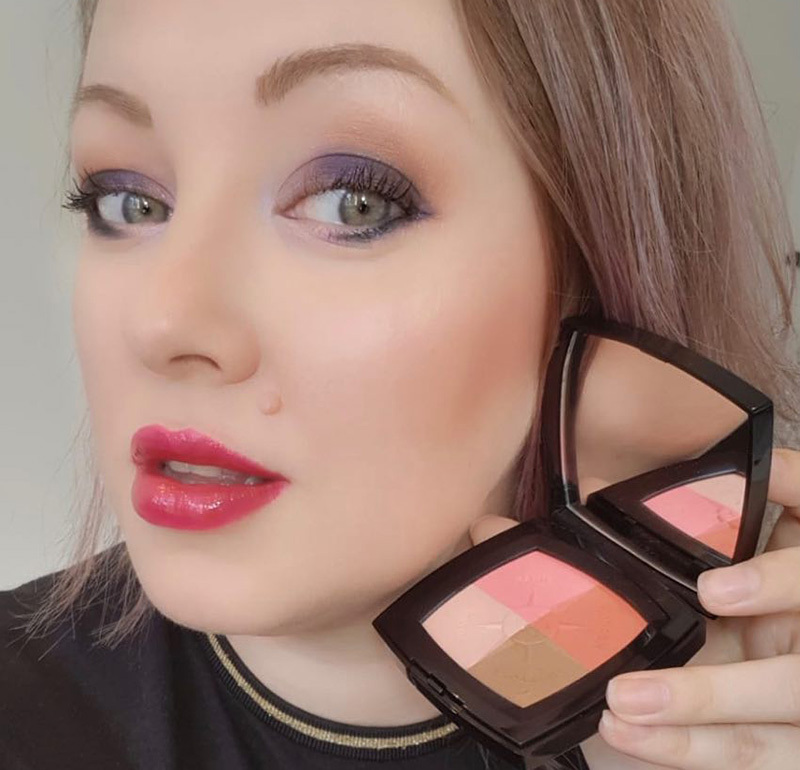 If you are looking for a day to day, natural sheen then this shade is ideal, but if you want something that will truly scream intense highlighter then is not the one for you. All the shades mixed together give a soft coraly-brown touch but I prefer to combine just 2 shades maximum. 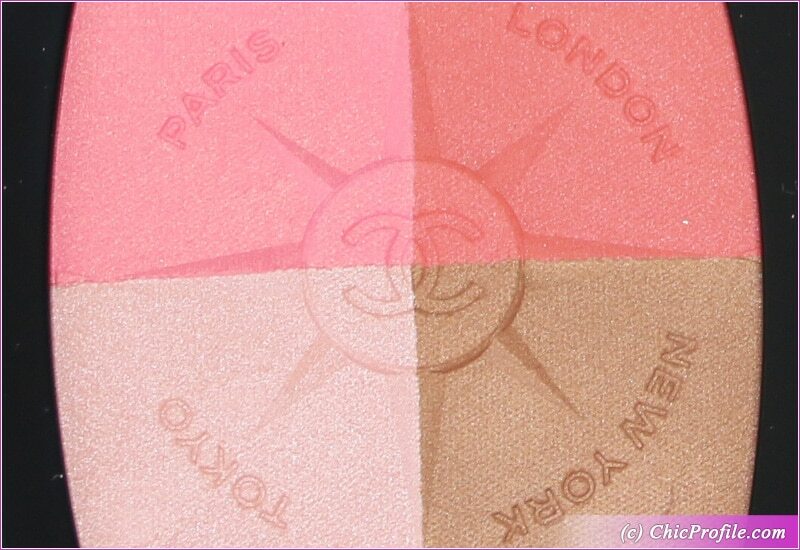 The blushers Paris and London look so good together and give a natural radiance to your complexion. I like New York shade because it gives a natural sun-kissed look without looking muddy. 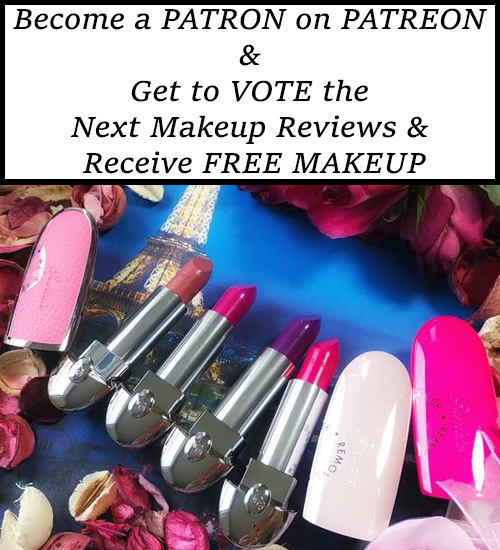 Works well combined with Paris for a radiant rosy finish. 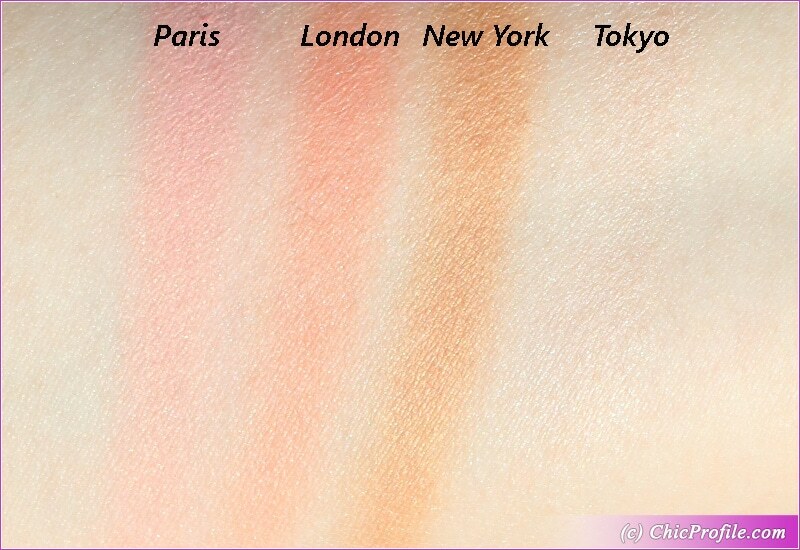 Tokyo will go great with any of the Paris or London blushers and heightens the luminosity. 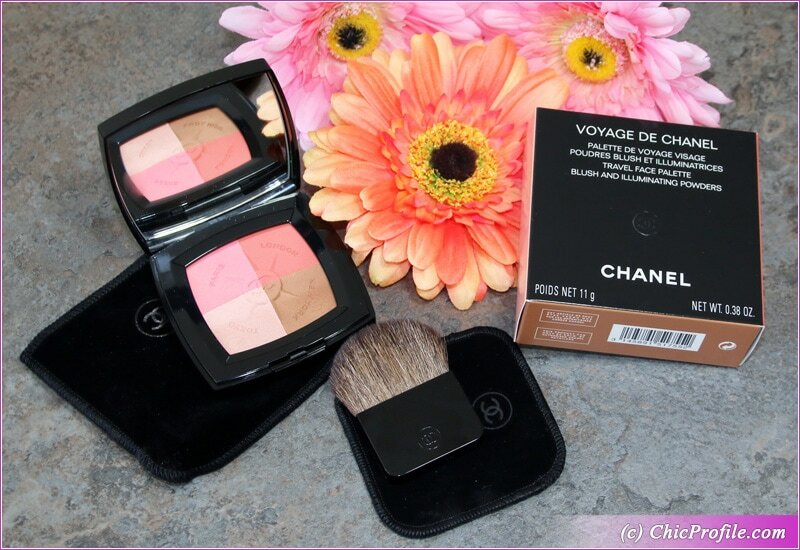 Chanel recommends using the entire Voyage de Chanel Palette for a sheer all-over effect. The palette comes with a mini brush which I just used once but I prefer to use my own powder or blush brushes. When you are a on the go a mini brush like this one is helpful and does the work but applies the shades pretty sheer and takes too long to intensify them to a medium coverage. The color apply easily, adhere easily onto the skin and blend seamlessly but again it takes a few layers to intensify each shade. I got around eight hours wear with any of the shades which was satisfying for me. I took swatches on bare skin without any base or primer applied. For Paris, London and Tokyo shades I applied 3 layers of color while for New York just one and a half layer. You can see me wearing all the four shades on my cheeks in this photo. For my eyes makeup I’ve actually used New York shade in the crease and moving upwords a little bit. I like using this palette as an eyeshadow palette sometimes.